Nashville's Top Performers 2017 is a local dance contest supported by Nashville's awesome Latin & Rhythm dance community. 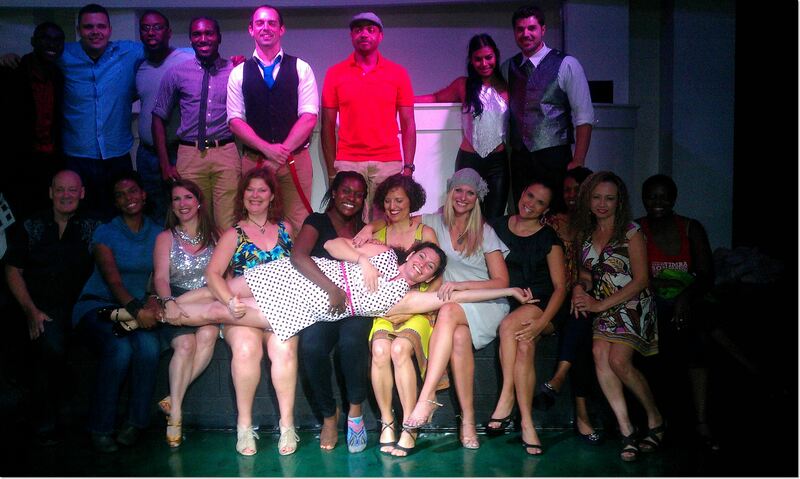 Special thanks to all the choreographers, contestants, Play Dance Bar, Global Education Center and other dance leaders! These precious dance memories last forever! Congratulations to the Grand Prize Winners!! Tricia Williams & Watson P.
Each Thursday, contestants learn a 1-minute choreography taught by Nashville's TOP instructors! The following Wednesday, the contestants perform and compete at Play Dance Bar at 8:35 pm. Six judges are randomly chosen to score the contestants both individually and as teams. Contestants receive points for artistic and technical expression, and for sharing their success on YouTube and Facebook. Nashville's Top Performers is 6 weeks of 6 different dances taught by 6 different instructors. Contestants are randomly and selectively assigned a different partner each week. Weekly costs are $15 for a total of $90 over 6 weeks. Thursday practices are held at Casa Azafran from 8:30p to 10:00p. Optional Saturday practices are at Casa Azafran from 1:00p to 3:00p. Contestants perform on Wednesdays at 8:35p at Play Dance Bar in front of 6 judges and their peers. Performance videos are posted on Facebook and emailed to the contestants for sharing. Contest Rules Scores & Videos See Last Year! 2017 All rights reserved by Tonya Hire -Miller.